Home returned to former glory | Mathieu & Mitchell Ltd.
Mathieu & Mitchell were appointed as main contractors for this project in June 2013. 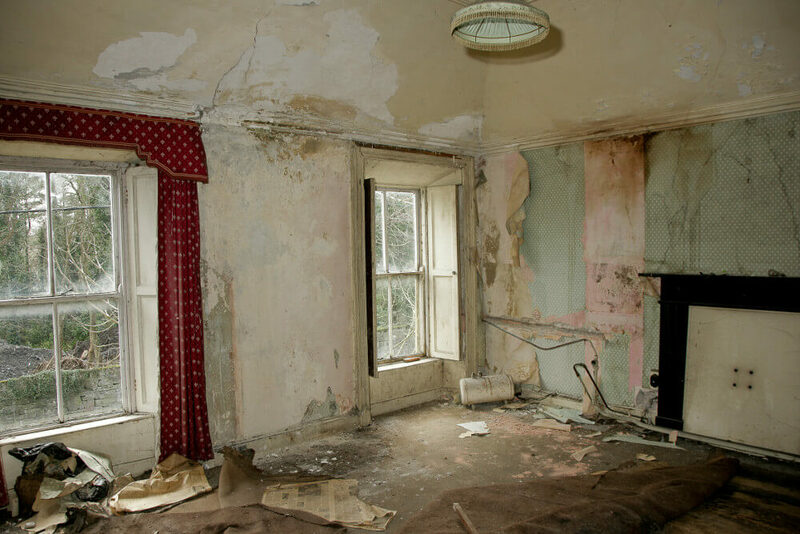 Prior to purchasing the property, the client had engaged us to give our professional opinion on the state of the building and an estimate on the cost of the conservation and repairs. 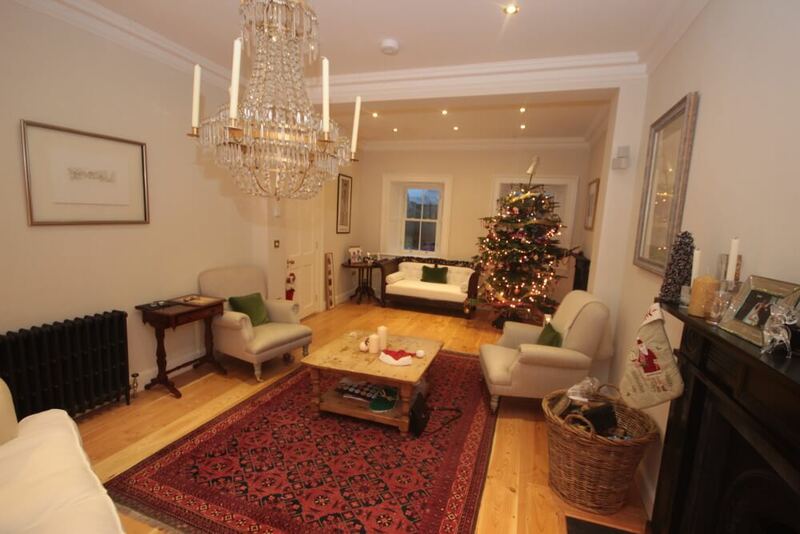 The development involved bringing the building back into use as a family home. 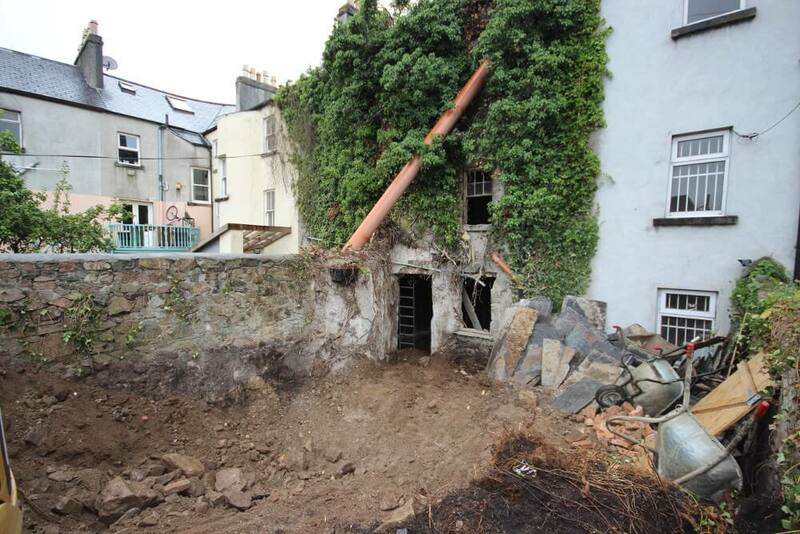 The site is located in the architectural conservation area, the Crescent/Sea Road ACA, and is a Protected Structure. 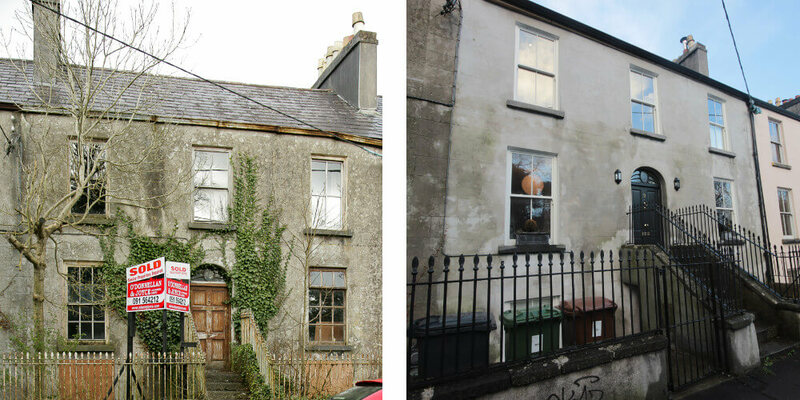 An Architectural Impact Assessment had been carried out by Anne Carey, MA, MUBC, MIAI, Archaeological and Historic Building Consultant and planning permission had been applied for by Padraic Hession & Associates Consulting Engineers. During the planning process, a fire broke out in the building causing extensive damage to the ground floor and smoke/heat damage throughout the rest of the building. 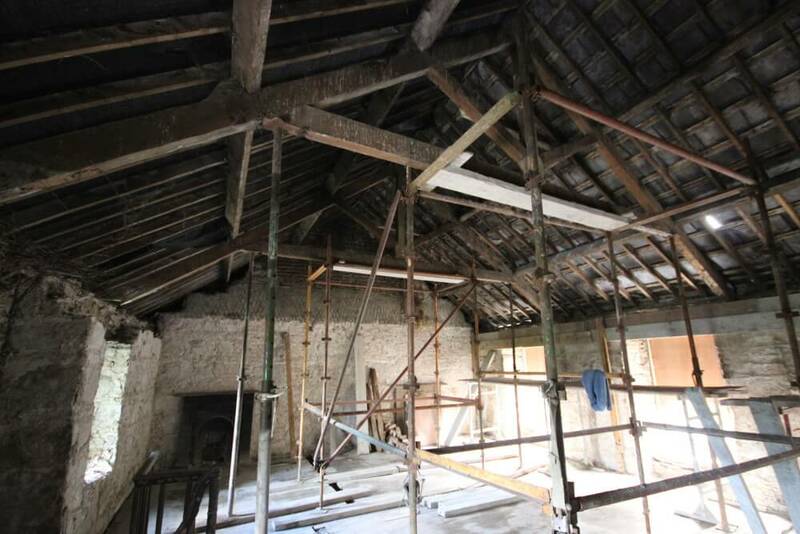 A Fire Damage Conservation Assessment then had to be prepared by Anne Carey and submitted to the planning authorities. As main contractors, M&M took on the role of PSCS. The role of the project supervisor construction stage is to manage and co-ordinate health and safety matters during the construction stage. The project supervisor (construction stage) is appointed before the construction work begins and remains in that position until all construction work on the project is completed. The site was then securely fenced off, and a monitored security system was put in place. A number of 6/6 sash windows which were original to the building survived the renovations of the last century, and it was hoped to retain those on the rear elevation and re-use the single original 6/6 sash window on the front elevation elsewhere in the building. Similarly, it was intended that the doors and architraves would be restored. The fire at No. 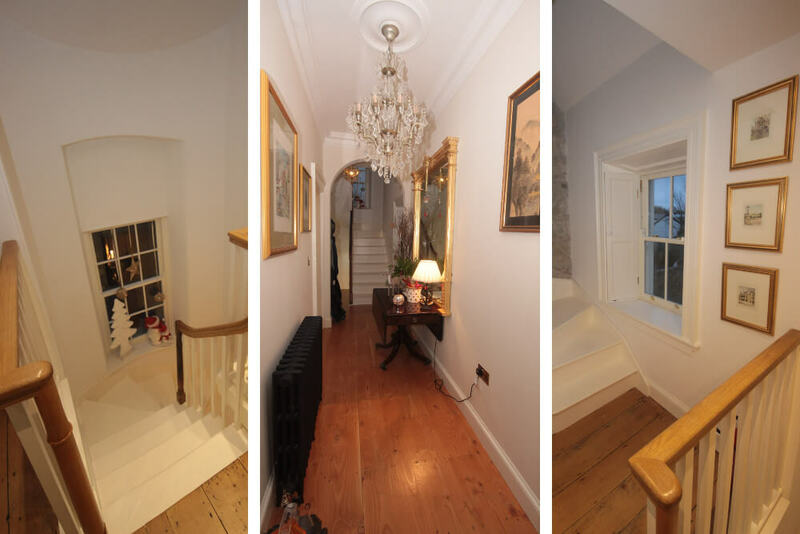 9 Montpelier Terrace, though largely confined to one room and the hallway, had a significant impact on historic joinery and plaster within the building. The direct fire damage to the ground floor had destroyed shutters, part of a fireplace, doors and their associated fireplaces, and the floor of one room. Indirect damage from the heat of the fire had impacted on all the historic joinery throughout the ground and the first floors and stairs, affecting all the shutters, all the windows, all the doors and their associated architraves, and the timber in the stairs, where the painted surface of the timber doors and windows, etc., had been damaged beyond repair. Elsewhere, smoke damage had blackened the surfaces of almost the entire interior of the building. The first stage of the job was to remove all electrical boards, fittings, outlets, and wiring, and make the building safe. All sundry debris, loose furniture, and fire-damaged joinery were removed and disposed of to a licensed landfill. The Liscannor stone flags in the basement floor were numbered, photographed, and carefully removed for re-use. All remaining woodwork was then treated for woodworm. The lowering of the basement floor by 900mm was the next stage of the project, which had to be carried out in stages so that supports could be put in place to support the partitions on the ground and first floors. 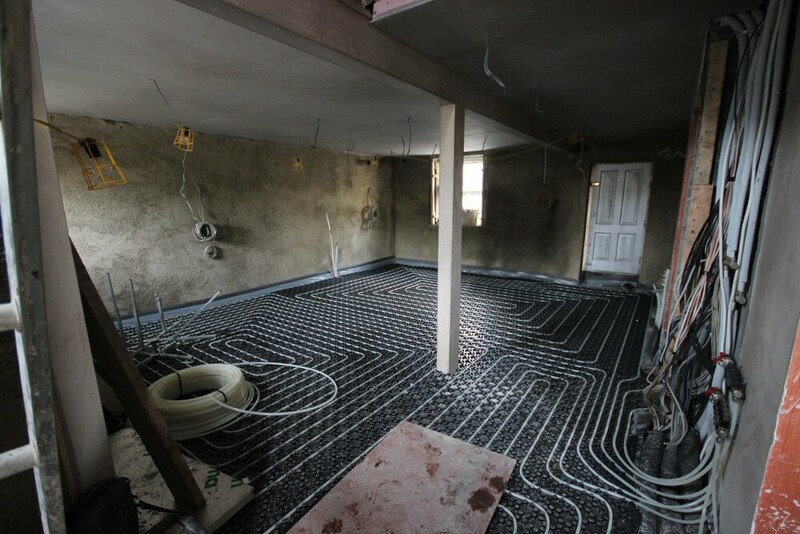 Pipework for sewerage, storm water disposal, radon membranes, and 75mm of floor insulation was installed before the 125mm reinforced concrete floor was poured. Because the floor level in the basement is below the level of the main sewer, we had to excavate and build two sumps at the rear of the house from where the waste and storm water is pumped into the mains. 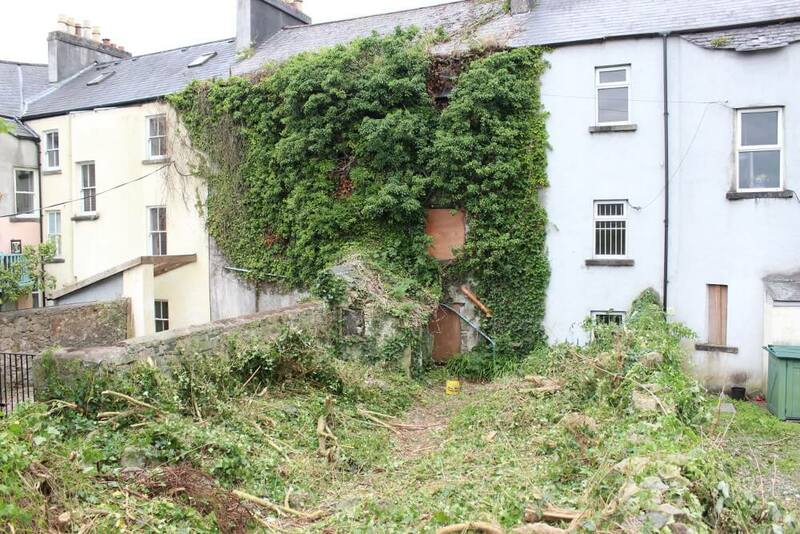 The rear wall of the house was completely overgrown with ivy and work in this area could not start until the end of the bird nesting season (March to September). After removal of the ivy, the wall was carefully power washed and re-plastered using lime plaster. 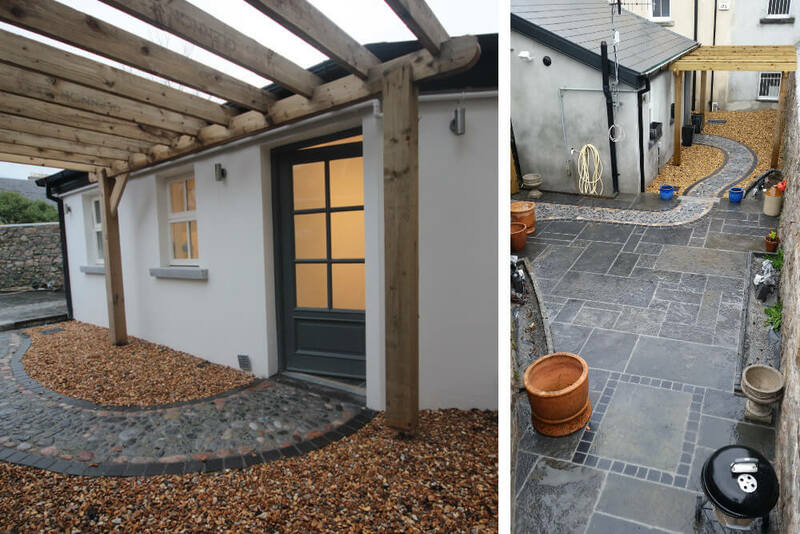 Because the main sewer is running at the back of the house, the shed that contains the plant room and utility room had to be set back two metres, and a link had to be constructed to join it onto the existing structure. Another unique feature of the properties in this terrace is that half of the houses are backing onto their neighbors gardens. 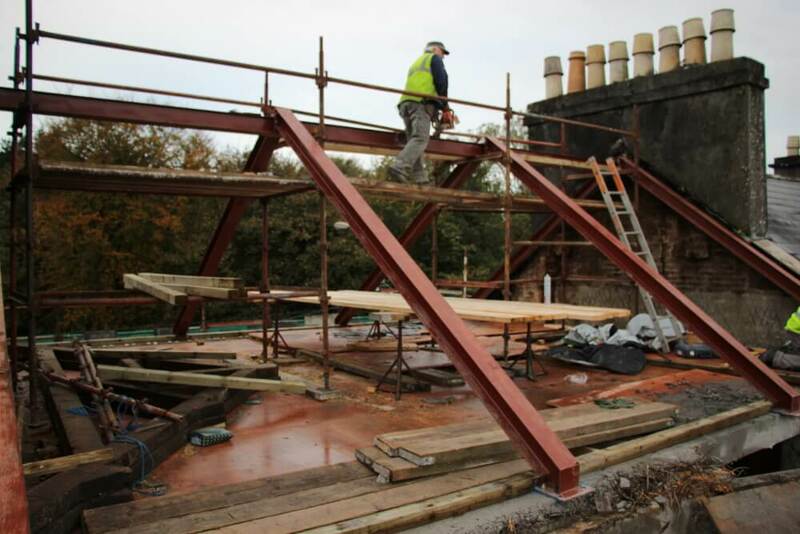 New structural steel work was fitted in the ground floor and first floor to strengthen the existing floors and walls. The next stage of the work was to remove the roof because all the timbers were destroyed by woodworms and were structurally unsound. Initially, it was thought that most of the natural slates could be saved, but as we removed them, they proved to be brittle, porous, and fissured, and it was decided to fit new natural slates. 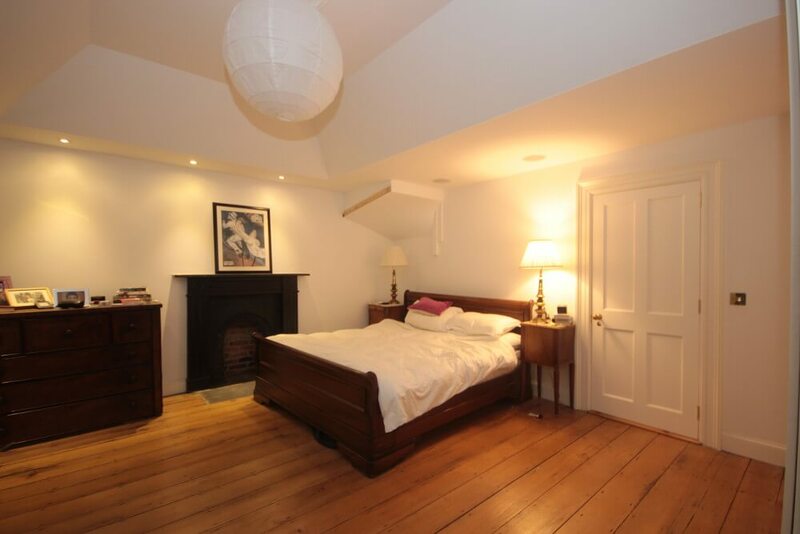 In the new roof design, we had to make the best use of the available space, as it will be a bedroom. After looking at many options, it was decided to use four steel portal rafters, which gave us a clear-span attic, free of purlins, collar ties, and roof supports. Before the steel rafters were put in place, the tops of the front and back walls were consolidated and strengthened with a reinforced concrete beam.The area where the vaulted ceiling popped up into the attic was used as the base for a bed. Three Velux roof lights were fitted to the rear, and one of them had to be a GPL MO8 in order to comply with fire regulations. It had been thought that one of the chimneys would need minor repairs, but on further investigation, it was discovered that the whole stack had numerous cracks and was beyond repair. A new block chimney with a cast in-situ cap was built to replicate the original. 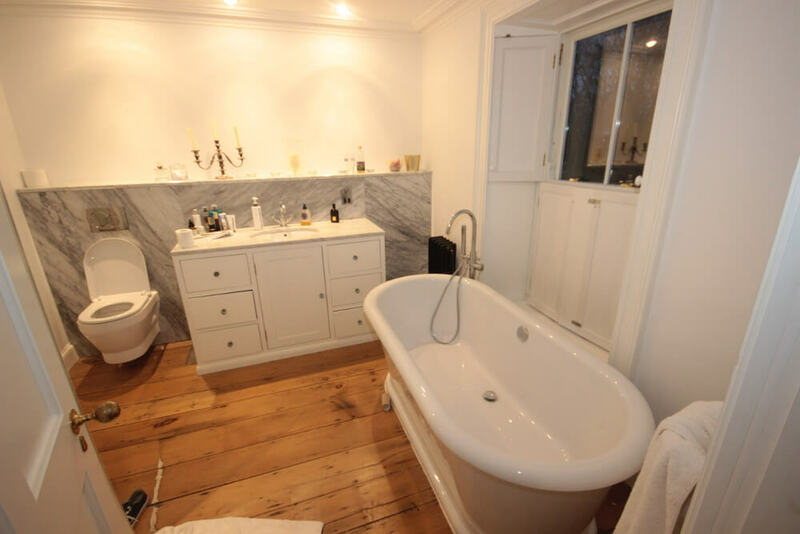 The windows and doors were fitted, and work on the internal and external lime plaster began. Oak corner beads were set in place, and three coats of lime plaster were applied. The lime plaster consisted of a scud coat, a scratch coat of 12 to 16mm, a float coat of 10 to 14mm, and a finish coat of 3 to 6mm. Two to three weeks were allowed between each coat in order for carbonation to occur. (Lime mortar, lime plaster, and lime wash absorb carbon monoxide as they cure and turn into calcium carbonate, more commonly known as limestone.) 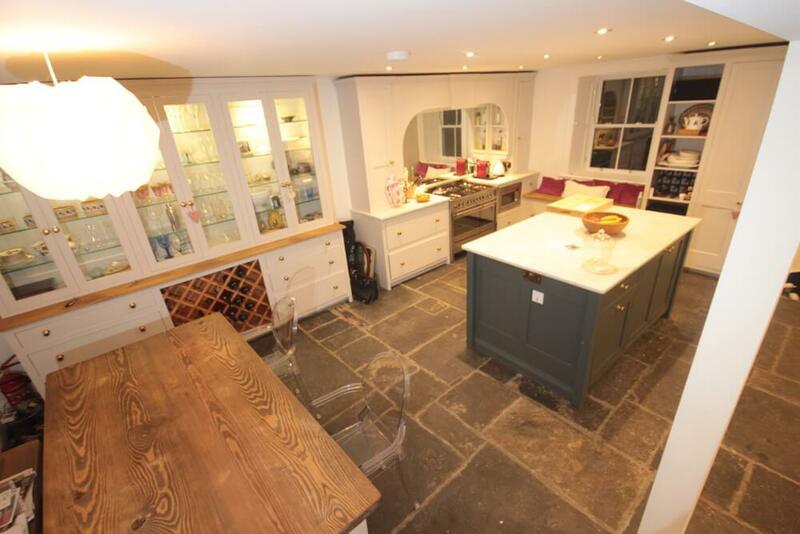 Floor heating was installed in the basement, and the original Liscannor stone was re-laid on a semi-dry screed. Liscannor stone was also used to pave the patio at the back of the house. Work commenced in July, 2013, and was completed in March, 2014.